I am always searching for new getaway locations. 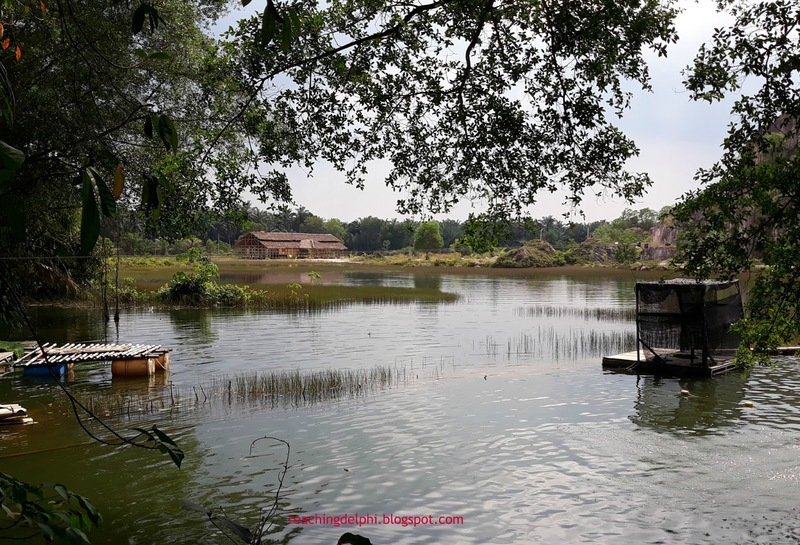 Hence, I was delighted to hear of one nearby, Tadom Hill Resort. 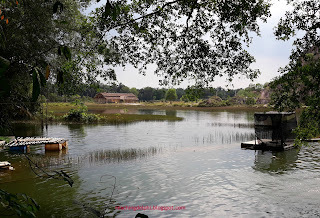 Tadom Hill Resort is approximately 50KM from where I stay and the one-hour drive to this resort is a pleasant one. Along the way, you’d see many palm oil plantations and several small lakes. I used Waze as a guide to drive there and, surprisingly, I did not miss any turns like I usually do. 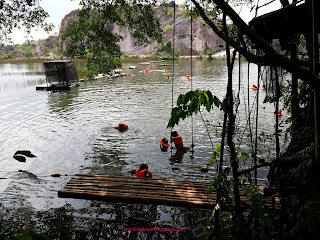 Tadom Hill Resort is an eco-friendly resort nested among the limestone hills and sits on the orang asli (indigenous peoples of Malaysia) Temuan’s land. The resort uses, and heavily promotes the use of, green bamboos. According to Wikipedia, bamboo is a natural composite material with high strength-to-weight ratio useful for structures. 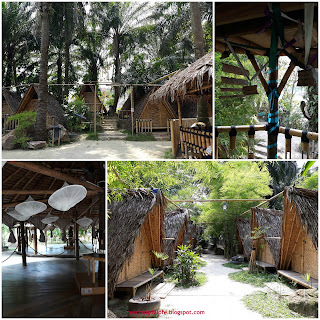 Most of the external structure and furniture at the resort are bamboo-based. I felt that this natural setting releases positive endorphins to create a peaceful atmosphere. Visitors can opt for either a day trip or an overnight visit. 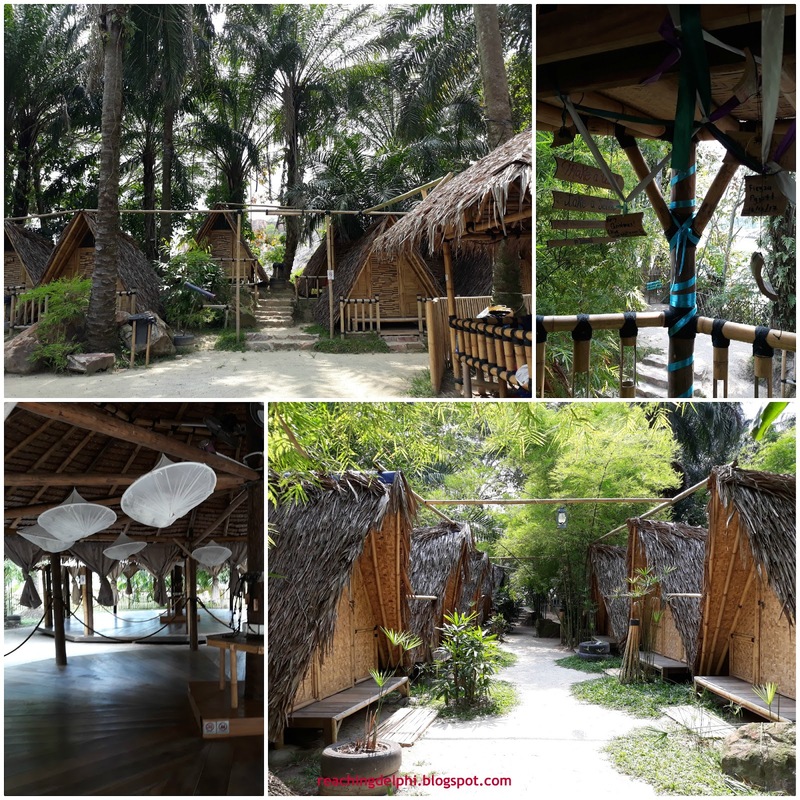 If you decide to stay overnight, you get a chance to experience sleeping in the magic of the bamboo (catchy tagline yes, I got that from Tadom Hill Resorts website). There are a few types of accommodation to choose from - basic eco-tents, hammocks, small bamboo huts and larger chalets. There are also two restaurants serving a variety of food and local coffee. If you prefer to show off your culinary skills, there are 2 BBQ pits. Visitors to the resort are of diverse groups - individuals (locals and foreigners) and corporates for their company team-building events. During my visit, I saw many local and foreign college students and local families with young children, all having fun in the sun. The biggest slice of the cake here is the lake itself where most of the action and activities are centred. 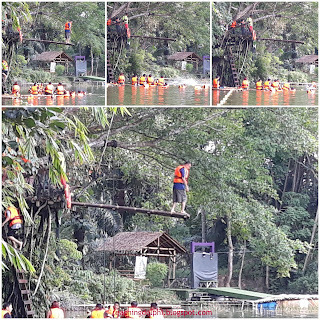 There is a 5-meter diving platform for the visitors to challenge themselves and see if they have what it takes to be the next Pandelela Rinong, or as Dato Lai delicately put it, to get that fear of the unknown out of their system. Do I See Another Pandelela? 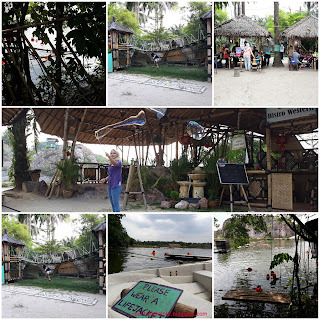 Other water activities include relaxing on the bamboo water swing, floating on the bamboo rafts, swimming and kayaking. Safety is important here, so anyone engaging in water activities needs to have a life jacket on. 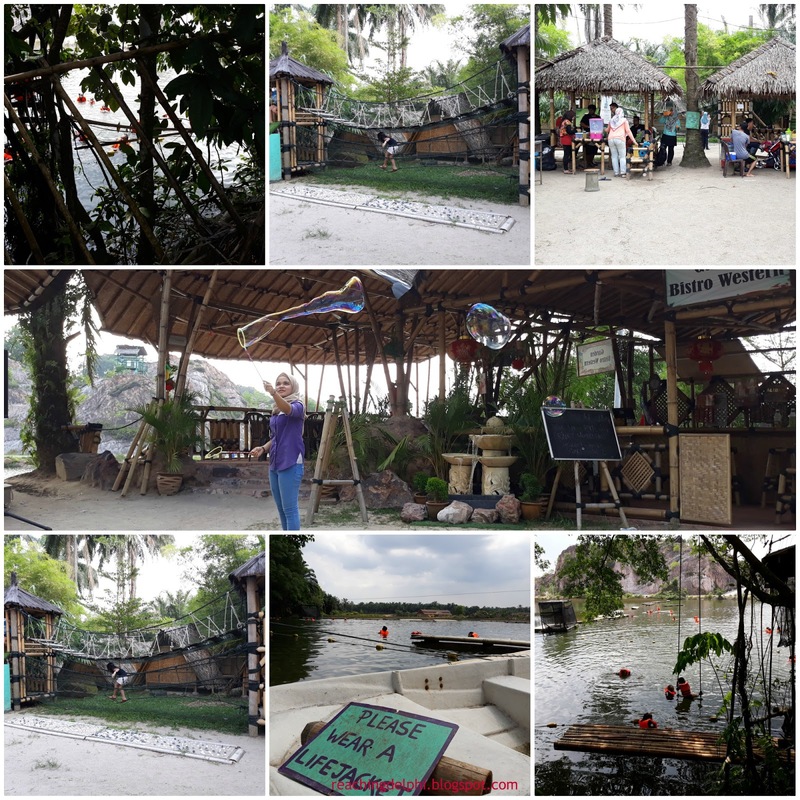 There are also non-water activities - environment awareness and knowledge sharing, ATV, board games, volley ball, etc. 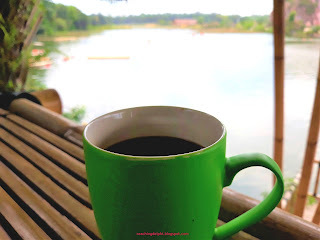 The surrounding nature is very calming, so one could also enjoy the relaxing atmosphere while listening to the in-house live band (on weekends) with a cold drink. The lake itself is a natural spring water lake with a mix of rain water. 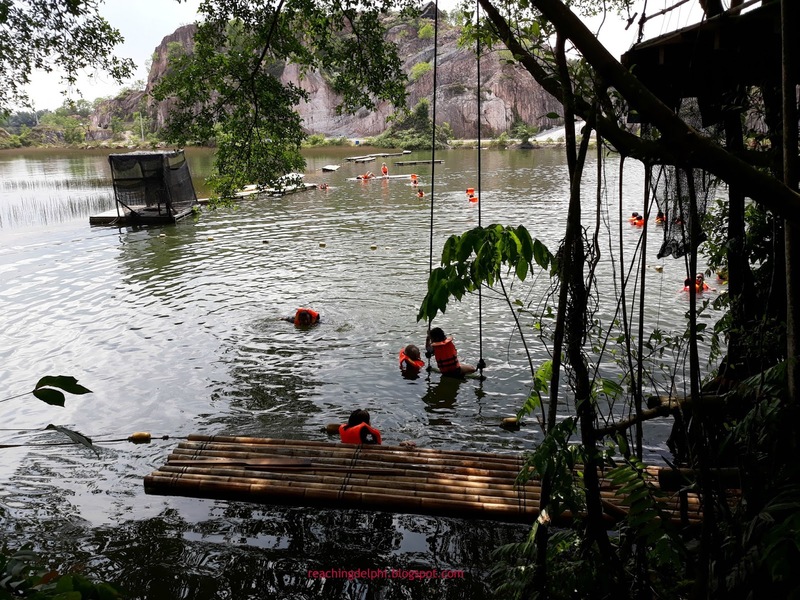 When the lake starts to fill up, the lake gates are opened, and water is released to the Langat River so that it doesn’t overflow and flood the area. I spent a very informative afternoon with Dato Lai Yeng Fock, a well-known property developer in Malaysia and the owner of the Tadom Hill Resort, understanding the importance of bamboo to the eco-system and his plans for the environment and surrounding communities. 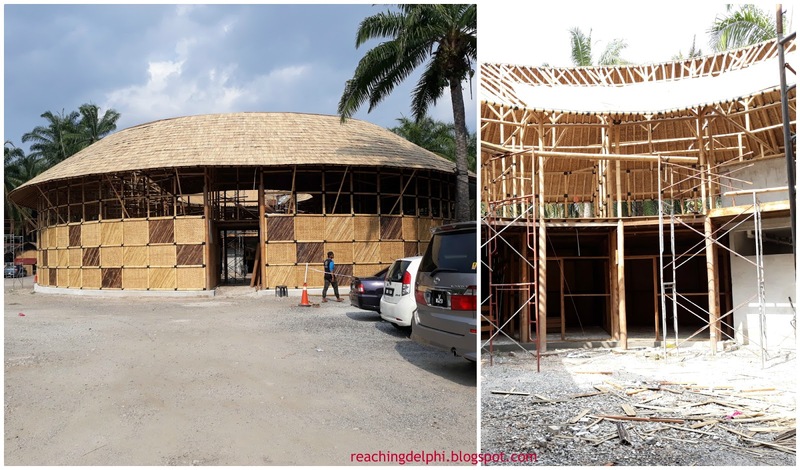 Below is sneak preview of the new round-shaped building, the next extension to the resort, also using bamboo as a base structure. It is the first of its kind in Malaysia and its inspiration is drawn from the Chinese Fujian Tulou earthen house concept. 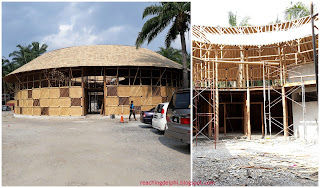 Once ready, this two-storey building can accommodate up to 150 guests. The centre of the building is an open space for common activities. 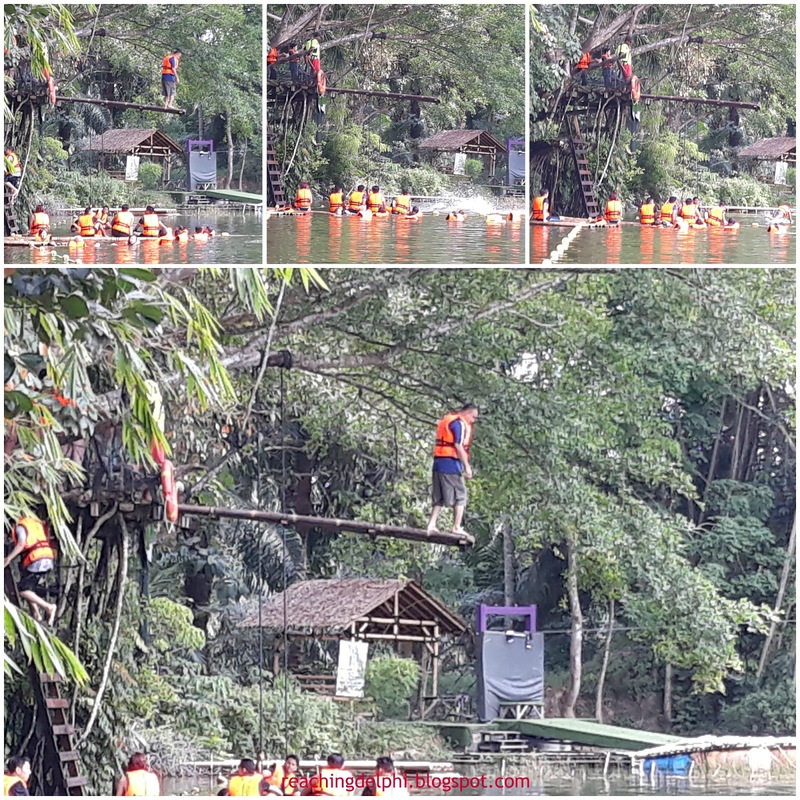 This extension is suitable for everyone and more so for family gatherings and corporate team building groups. It is near completion and will be ready for occupancy in May. The resort accepts bookings now. At Tadom Hill Resort, there is no bamboo wastage. 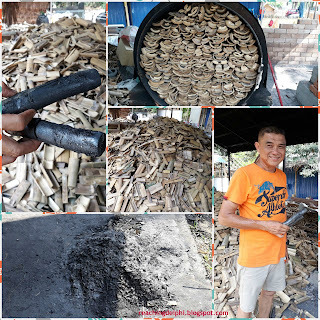 Unused bamboos are recycled by first cutting them into smaller pieces, drying them, and burning them in retorts until they become ash. 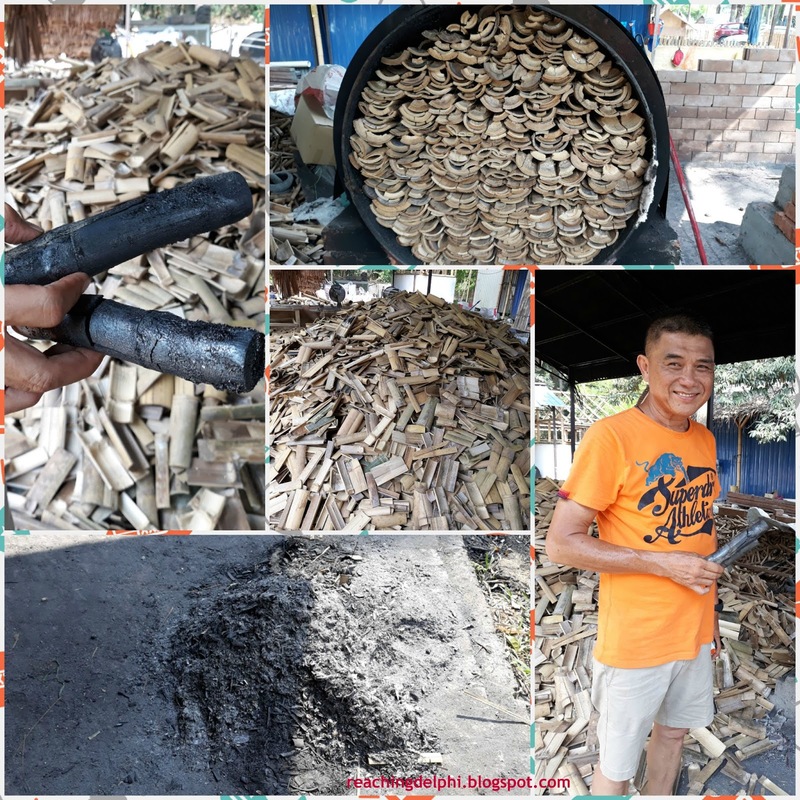 Once cooled, the bamboo ashes are mixed together with soil and used as organic fertiliser in their nursery, where passion fruit, chilies, local vegetables and durians are farmed. Do you remember the charcoal pills that we take when we have food poisoning and those popular charcoal bun burgers? Activated bamboo charcoal is used as the food ingredient in them. I had earlier mentioned the Temuans. They are one of the largest orang asli ethnic groups in peninsular Malaysia. 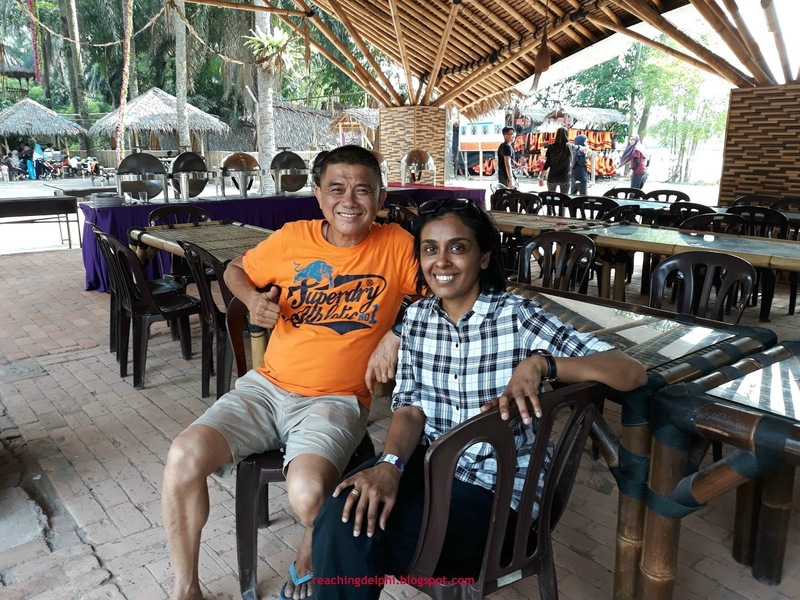 Dato Lai informed that this land, where the resort is located, originally belonged to the Temuans and just as any indigenous groups, they are becoming extinct and it is important to ensure that they are protected and given opportunities to sustain. Today, he includes their welfare and interests in his continuous improvement plans for the area. The Temuans are part of his strong staff force at the resort. They are highly skilled in hunting and these skills are showcased at the resort to tourists, during cultural show events. They are also trained in new skills so that they can adapt and integrate with others. In the next picture, you would notice a large bamboo building. This is a school that the management is setting up for the Temuan community and visitors. Here, one can learn about local arts and craft including the skills of the Temuans. 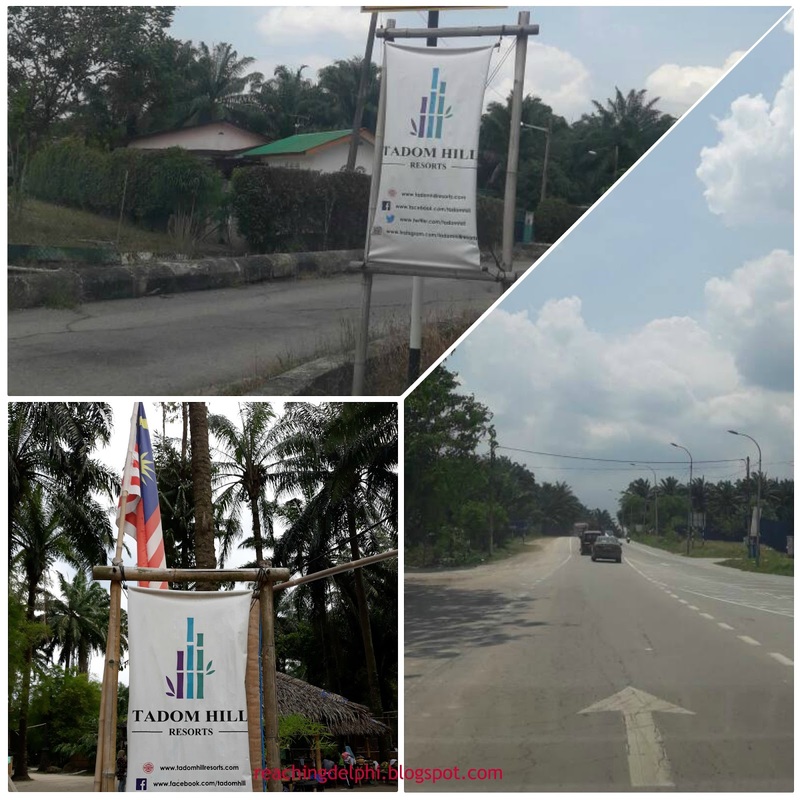 It is also a place for Temuan children to acquire new skills. The school will be opened very soon, so stay tuned for their exciting learning packages. Today, there are also opportunities for foreign visitors/volunteers to teach the Temuan children basic language skills. This boosts up the children’s self-confidence when they interact with strangers.